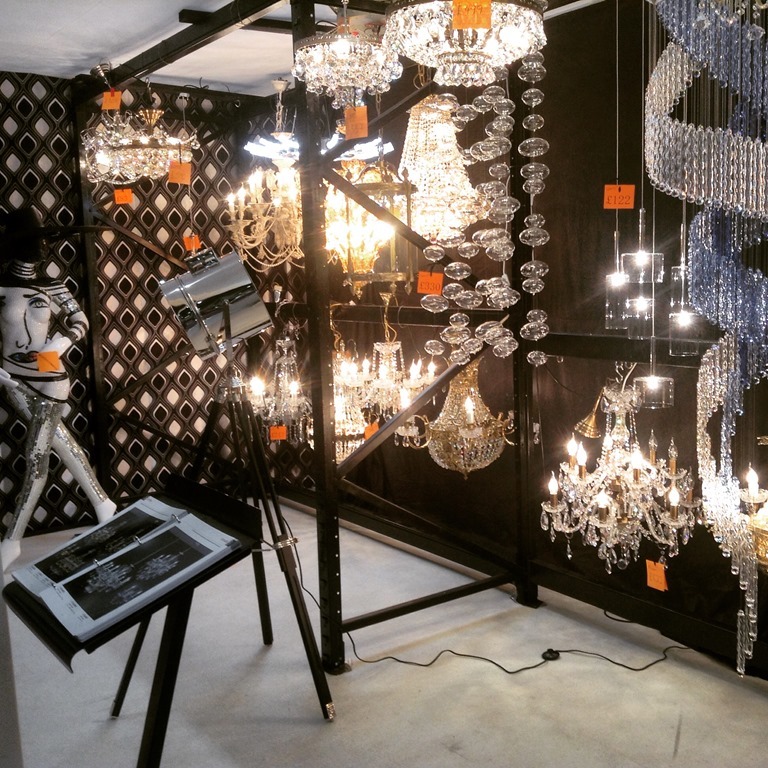 Earlier this month, Classical Chandeliers and Saving Light Bulbs spent the week at the Grand Designs Live Exhibition at London ExCel where we displayed some beautiful chandeliers as well as some contemporary light fixtures. Grand Designs Live is a 10 day long exhibition where many different companies come together to show what their companies sell and to advertise any new and innovative products that may not have been seen previously. They are not just companies who specify in lighting, but in any form of home improvement. During the week our stand was opposite companies who sold tyres and a floating bed! There is also a chance to listen to talks from experts, naming Kevin McCloud who presents the TV program Grand Designs. The exhibition is a great opportunity to become more informed on anything to do with the home and get invaluable information you hadn’t previously thought you’d need! The exhibition offers help and information on interiors, technology, kitchens, bathrooms, gardens and build. There is literally everything and anything you could think of to do with home improvement all in one place! It was so great to meet so many people during the time of the exhibition who were interested in Interior Design, looking to see what else is on the market, or simply just getting ideas. It really is an inspirational event on a grand scale! And if you are still unsure or have any other questions we are also always available and happy to help with any problems or queries you might have! So please do get in contact! The show was such a great success! We had some beautiful fixtures on show at our stand! All of which are available on our website! Our lamp lady! She was photographed so often we’re surprised she isn’t famous yet! She is beautiful, covered in mosaic and many commented seeing they had never seen anything like her. Standing at 185cm high still will add glamour to any space! She is currently still available on our website for those that are interested! This was so popular during the show that we sold all of our stock within the first few days! However no need to worry because there are more on its way! Mounted on an adjustable tripod, it is different, quirky and is a perfect additional light to any room. Simple, elegant and versatile. There isn’t anywhere these lights wouldn’t go! The adjustable height makes it even more appealing to many customers. You can almost redesign it yourself! All of these items are still available on the website plus many more; we will undoubtedly have something for your room size, style and design! These items are also available in our showroom to view if you didn’t get to see them at the exhibition first hand or if you want to see them again! 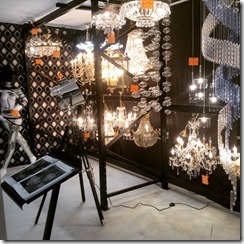 Our showroom also offers approximately 40 other light fixtures of different shapes and styles for you to view and get further ideas for home improvement.